Retro Mother’s Day Tags and Gift Ideas. 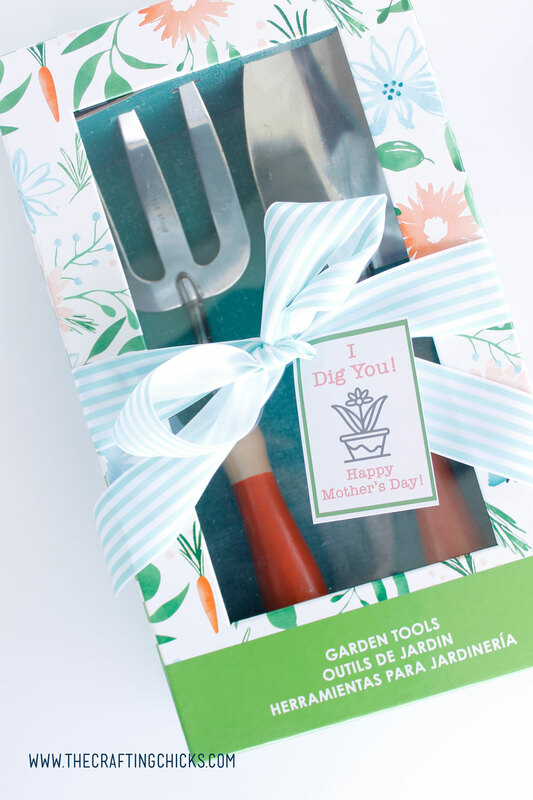 These adorable gift tags would work with many gift ideas from the baker mom, to the garden mom and all the mom’s in between. Show her how much you love her with these adorable tags and gift ideas. 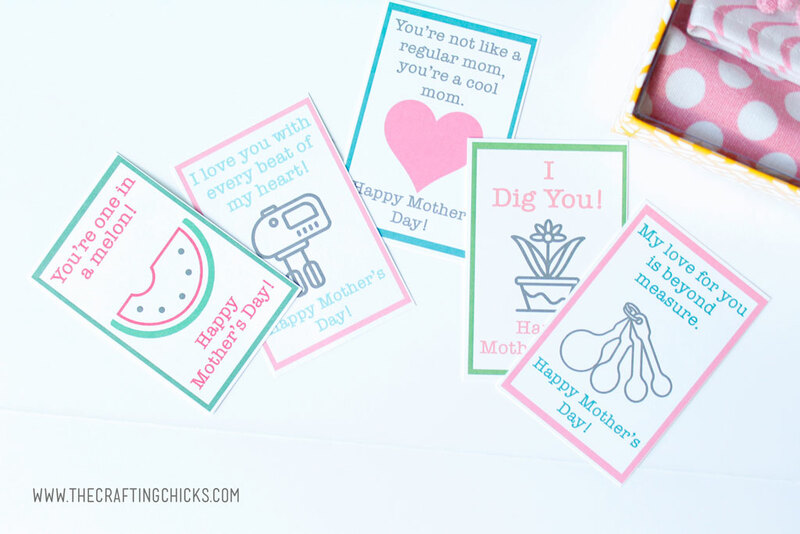 Today I’m excited to share my Retro Mother’s Day Tags and Gift Ideas with you as party of our Michaels Makers Challenge for this month. When I went into my store I noticed a lot of fun prepackaged gift ideas. 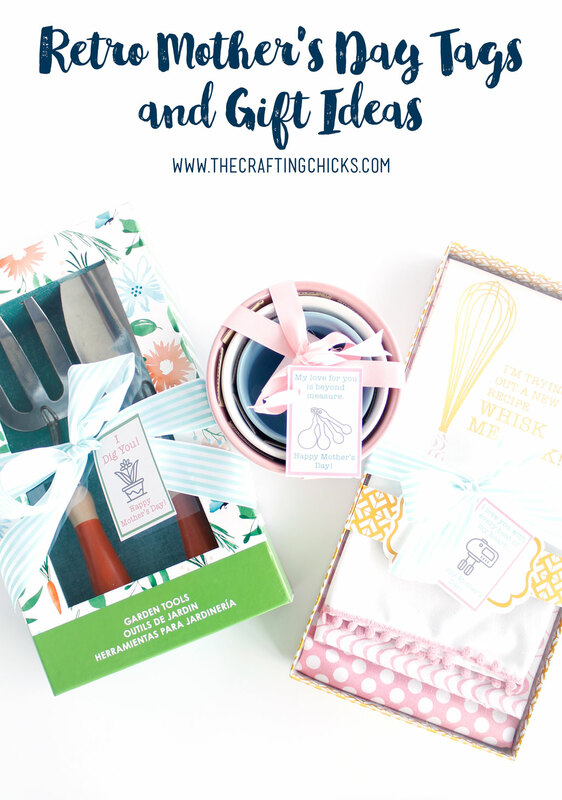 I love to make life easy so what can be easier then choosing a gift set and adding a cute tag to it? So I thought about all the amazing mom’s in my life and found a gift set that fits them perfectly. Made up these fun gift tags and now I’m all set. What you’ll need for this quick gift idea is simple and everything can be found right now at you your locate Michaels Store, or online at Michaels. 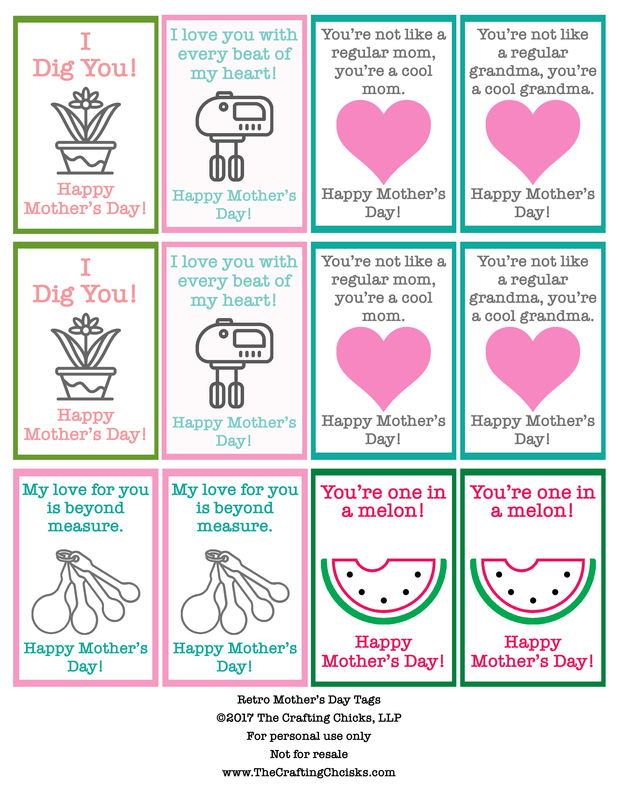 Download of the Retro Mother’s Day Tags. (Download below by clicking on the button.) All printables are © The Crafting Chicks, LLP. Not for resale. Gardening, baking, or other gift sets from Michaels. 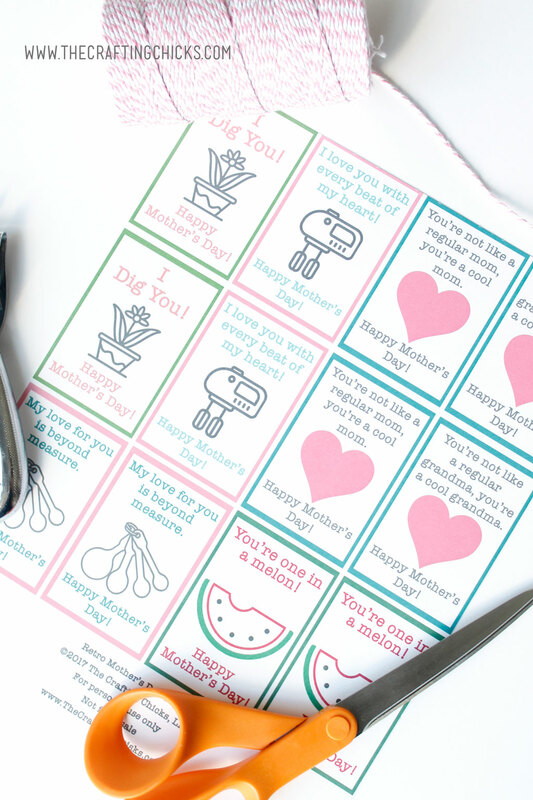 The first step is to print off the free download Retro Mother’s Day Tags on a nice cardstock paper. Next cut the tags. I’ve made each sheet so you will get 2 of each tag once you print them out. Get your cute gift sets all laid out and ready to go be wrapped. 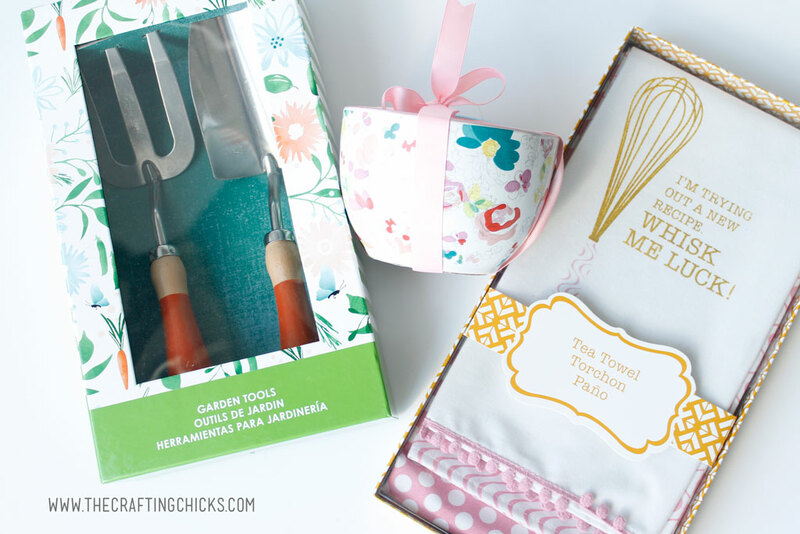 I choose the Garden Tools, these adorable bowl set, and a cute tea towel set. With the bowls I plan on adding in some favorite treats since these bowls need to be displayed. And what better way to display then with a fun treat. Grab your cute ribbon and tie a bow on the gift set. Then add your cute Retro Mother’s Day Tags to each gift. 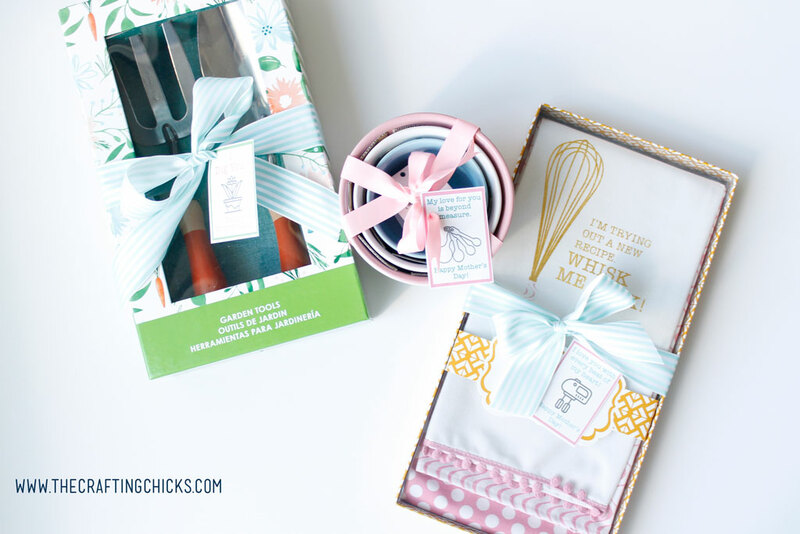 I had so much fun making these printables with the perfect sayings for each of these gift sets. But then some of these could be used for other gifts and some I made to go with anything. I hope you enjoy them as much as I do. Looking for more inspiration? 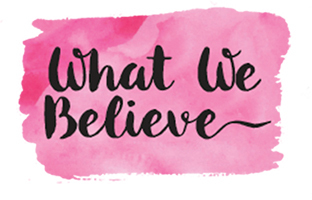 Make sure you visit Michaels’ blog, The Glue String, to see the rest of the Michaels Makers’ Mother’s Day project ideas.